On approach to Home Sweet Home. 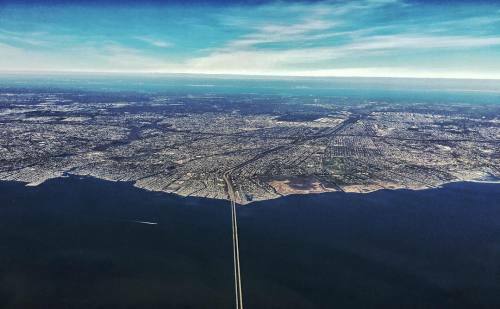 #photojournalism #reportage #aerial #landscape #newyorkcity" By benlowy on Instagram. "Happy New Year! 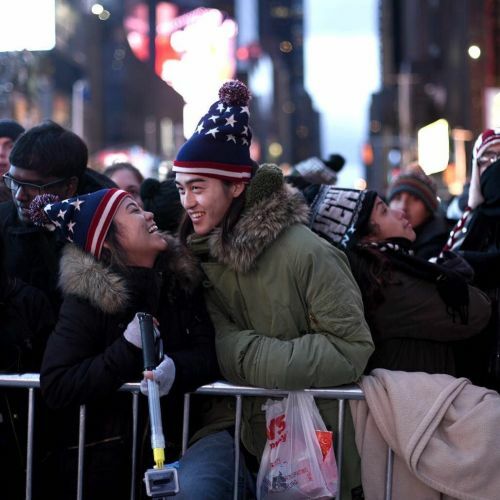 @hlswift is one of 2 photographers braving the #NewYearsEve crowds in #TimesSquare while on #nytassignment tonight. While @hlswift waits for the ball to drop, we're toasting to 2016. Happy New Year, everyone! #🎉 #🎊 #🎇 #🍾" By nytimes on Instagram. "A headline in the December 31, 1907 issue of @nytimes instructed readers to "Watch the Times Tower." 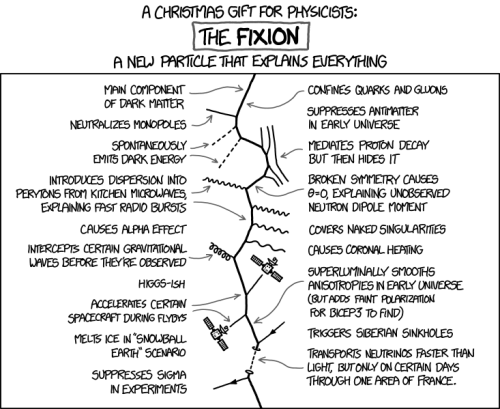 The article explained that "the exact moment of the New Year's arrival will be signalized by the dropping of an electrically illuminated ball." Today, the tradition continues, but on a much larger scale: More than 1 million revelers gather in and around #TimesSquare to partake in the 109-year-old tradition. 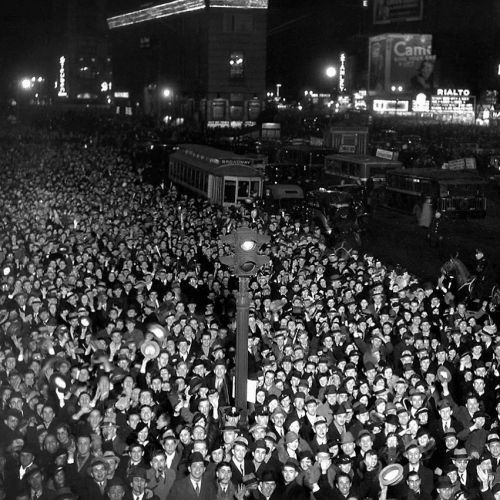 This 1934 photo of revelers on 43rd Street and Broadway comes from the @nytimes archives. #tbt #🎉 #🎊 #🎇" By nytimes on Instagram. ""I think it's fun to watch people smarter than us solving problems," Matt Damon said in a recent interview with @nytimes. In "The Martian" (@martianmovie), he plays @nasa astronaut Mark Watney, who starts creating water from spare rocket fuel and heat from a degrading plutonium core. But this is not the first film in which #MattDamon uses that big brain of his to get out of jams. There's superspy Jason Bourne. And con artist Tom Ripley. Not to mention, his varied roles in "The Rainmaker," "The Departed," "Syriana" and "The Adjustment Bureau." Meanwhile, Matt's directors insist it's no act. With #TheMartian, the Harvard-educated actor has once again entered the Oscar conversation. @eliz photographed Matt Damon while on #nytassignment." By nytimes on Instagram. ""I feel as though when I dance, I'm sharing who I am. It's not a facade. It's me." 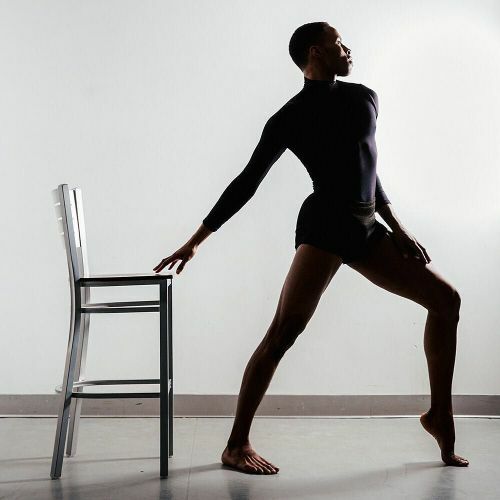 @jeroboamb has been having a breakout season with #AlvinAiley American Dance Theater. But the 25-year-old dancer's life has not been a fairy tale. @jeroboamb grew up in Bedford-Stuyvesant, Brooklyn, with his parents and 6 siblings. He was tormented for liking to dance and was once so brutally attacked by a group of boys that people jumped out of their car to help him. At 14, he temporarily quit dancing when his family moved into a homeless shelter in the Bronx. Today, it's hard to imagine that the steely performer had to audition for the Ailey company 5 times before landing a spot. #regram from @migeophoto, who photographed @jeroboamb at the #AlvinAiley Studios in Manhattan." By nytimes on Instagram. 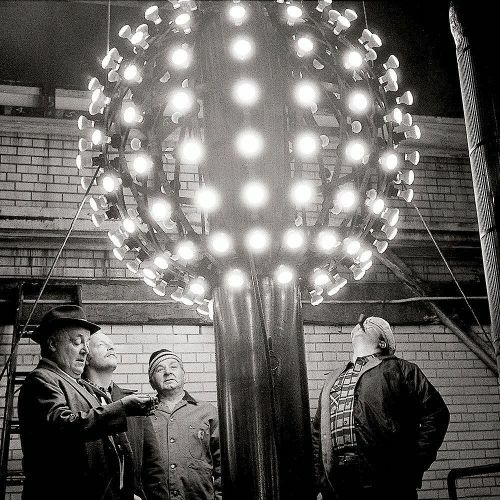 "No big deal, but in 1907, @nytimes invented the Times Square ball drop. "The descent of an electric ball will mark the arrival of 1908 tonight," read a short item in the newspaper on December 31 of that year. The original ball was 5 feet in diameter. 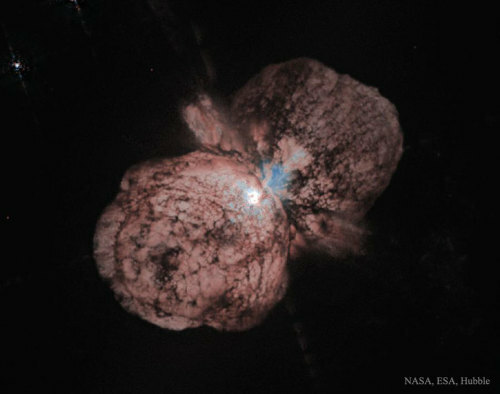 Its light came from 216 electric lamps. It descended from the top of a flagpole to the roof of the @nytimes tower, flashing "the youngster's name to the four quarters of the town." (The youngster being 1908.) Since then, @nytimes photographers have documented the crowds and chaos of the annual #NewYearsEve celebration in #TimesSquare. Here, staff photographer Chester Higgins Jr. captured technicians in 1978, eyeing a new-and-improved ball. Today, security barricades and checkpoints line the perimeter of the square, and the electronic billboards outshine the luster of the ball. #tbt #🎉 #🎊 #🎇" By nytimes on Instagram. "#NewYearsEve celebrations in Times Square draw all types of characters. 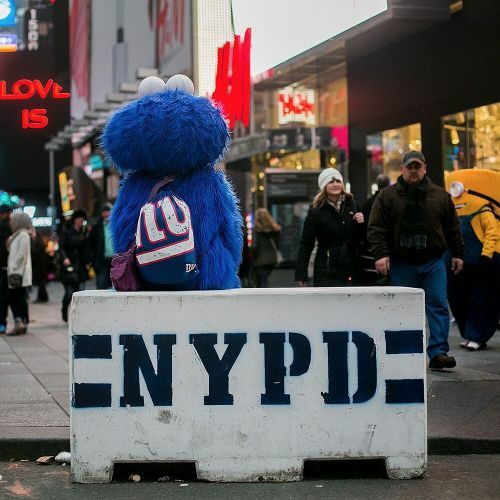 @samuelhodgson captured Cookie Monster sitting on an @nypd blockade today as the city prepared for tomorrow night's events. Although the area shuts down to vehicles around 3 p.m., crowds usually start arriving as early as 10 a.m. Partygoers beware: There are no portable restrooms in #TimesSquare. Some more comfortable options on the square include a $400-a-person buffet dinner at @olivegarden and an outdoor skypod from @theknicknyc, perched just 150 feet away from the ball. 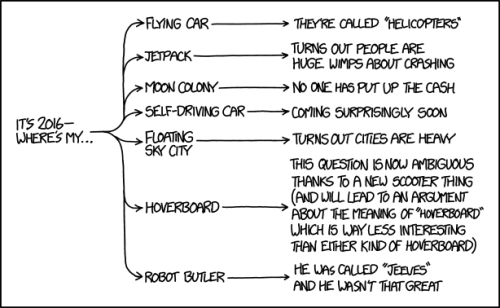 (The skypods go for $45,000 a piece.) #🎉" By nytimes on Instagram. 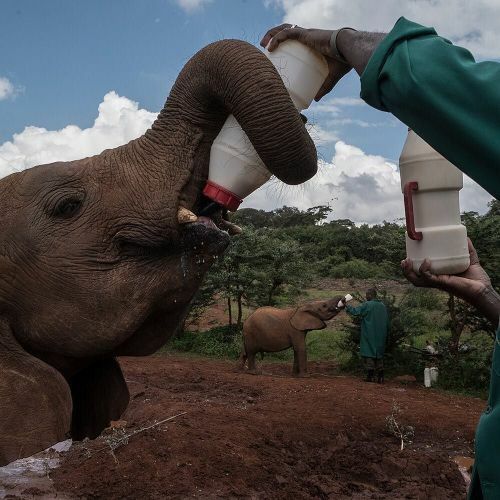 "Feeding time at the @dswt Elephant Orphanage, just outside of #Nairobi, #Kenya. The @nytvideo journalist @bcsolomon visited the orphanage — which cares for a few dozen elephants who have lost their families — earlier this week. Eventually, the animals will be released into Nairobi National Park, he said. #regram #🐘" By nytimes on Instagram. 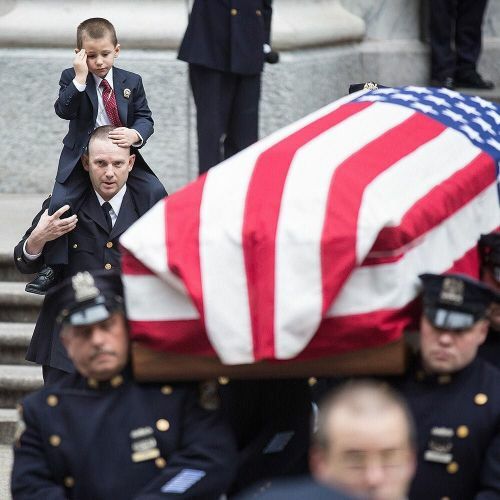 "Ryan Lemm, 4, watched his father's coffin pass by at @stpatrickscathedral in Manhattan today. Ryan's father, Detective Joseph Lemm, an @nypd police officer and @airnationalguard sergeant, was killed last week, along with 5 other Americans, in a suicide bombing in Afghanistan. Detective Lemm, 45, gained a reputation as something of a comic book superhero in the @nypd, his bravery and warm manner winning him many admirers. @damonwinter photographed Detective Lemm's funeral today in Manhattan." By nytimes on Instagram. 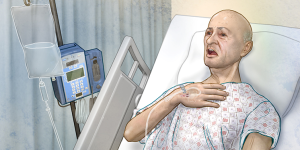 ""The upper part of the skull had been removed, and the brain was gently pulsating within. I had never seen anything quite as beautiful, and when I straightened up and moved aside to make room for the doctor, for a moment my eyes were glazed with tears." For this week's issue of @nytmag, writer #KarlOveKnausgaard and photographer #PaoloPellegrin traveled to Albania to witness the terrible beauty of brain surgery — in an operating room where the patients are conscious. Pictured here is one of the patients they met, a 33-year-old bricklayer named Ilmi Hasanaj. To see more photos and read the full story, visit the link in our profile." By nytimes on Instagram. 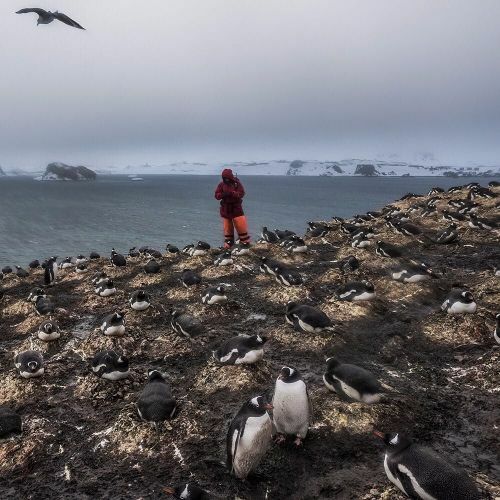 "A German researcher counting the number of #penguin species and pairs as part of a continuing study of bird species in Antarctica. The continent is supposed to be protected as a scientific preserve — shielded from intrusions like military activities and mining — for decades to come. But many opportunity-seeking countries are rushing to assert greater influence in #Antarctica. Some ventures focus on resources that are already up for grabs, like sea life. Others are examining the potential for harvesting icebergs. A longer-term prize: Antarctica's mineral, oil and gas wealth. @danielberehulak traveled to Antarctica while on #nytassignment. Visit the link in our profile to see more of his photos. #🐧" By nytimes on Instagram. 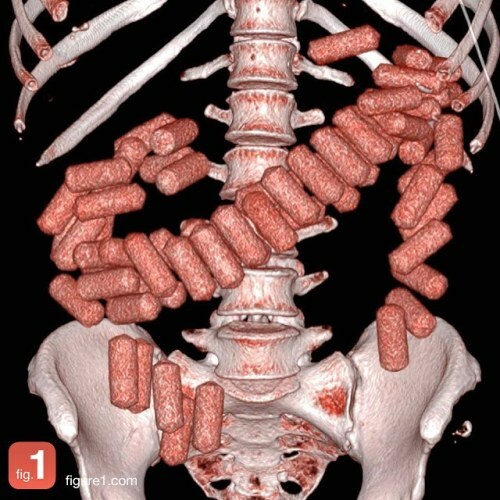 "Thanks for posting your cookies! You guys sure got busy over the holidays, thanks for sharing on social media. #muttermuseum #conjoinedtwins #conjoinedcookies #holidays #baking #holidaycookies" By muttermuseum on Instagram. "When a Chinese truck company wanted to open a factory in India, its president looked at sites that had a mountain in back and a river in front — auspicious locations in the practice of feng shui. The company found what seemed like the ideal spot, securing 250 acres of farmland in Shinde, a western Indian village. But the mountain is sacred to many Hindus. For at least 2,000 years, the cliffside caves have been home to generations of monks. The culture clash was immediate. 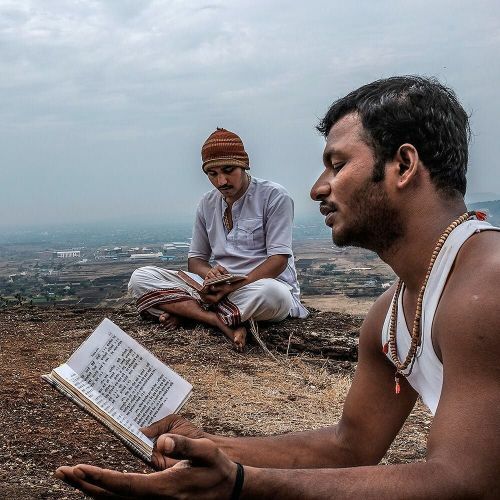 "In today's life, spirituality and science are both important, and neither should deny the other," said Kailash Nemade, left, a monk. "But this factory should not come here, because it will ruin the spirituality of the mountain." 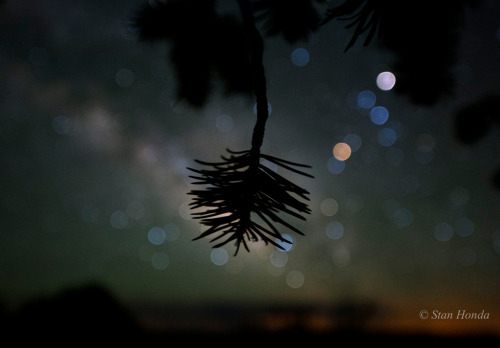 The photographer @lokeatul took this picture while on #nytassignment." By nytimes on Instagram. "When a friend whose birthday was approaching declared ras malai to be her favorite sweet, the @nytfood writer @clarkbar decided to adapt its key elements — rose water, ricotta cheese and cardamom — to the cloudlike confection pictured here. It starts with the lightest, whitest #cake, made with only egg whites for supreme fluffiness. Next comes the silky smooth cheese filling, a mixture of high-quality ricotta and sugar. And as for the icing on top? 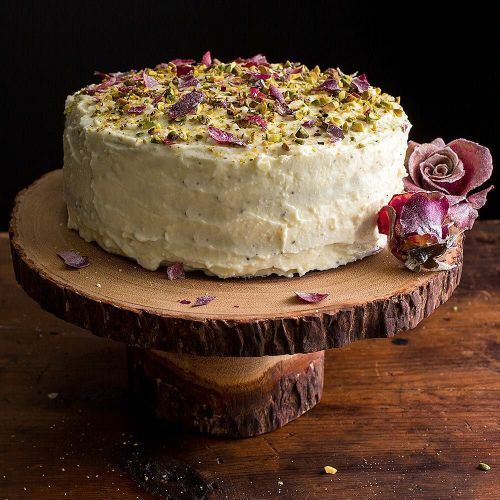 #Mascarpone, sprinkled with chopped pistachios and candied rose petals. @andrewscrivani photographed this cardamom cream cake for @nytfood. #🍰 #🎂" By nytimes on Instagram. 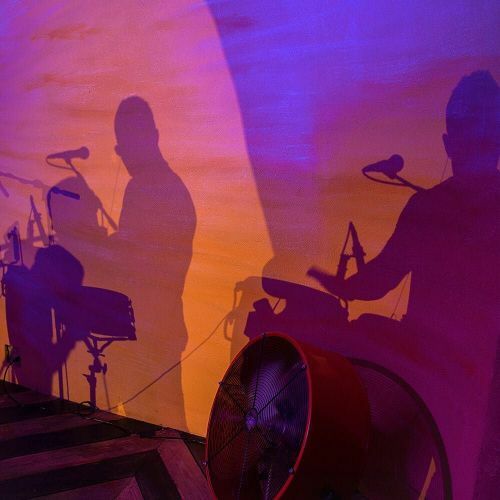 ""No matter where in the world I have lived, no matter how long I have been away or how brief my visit back, Little Havana has always been the one place where the present takes me back to the past," writes the @nytimes reporter Lizette Alvarez. She calls #LittleHavana, in Miami, the heart of the Cuban exile experience. Our staff photographer @angelfranco traveled there to document some of the places that make the neighborhood what it is. He took this photo at Ball and Chain, a 1930s-era jazz club in the working-class center of Calle Ocho. Chet Baker played here. So did Billie Holiday and Count Basie. The club looking as it did then, but now its Miami crowd can be found sipping "pastelito daiquiris" and listening to live Latin music. Visit the link in our profile to see more of @angelfranco's photos from Little Havana." By nytimes on Instagram. 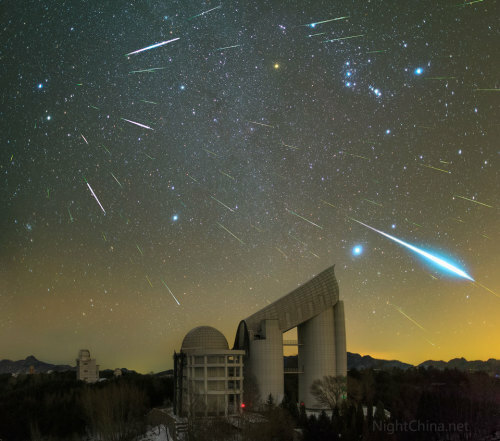 "More than a century has passed since explorers raced to plant their flags at the bottom of the world. But today, an array of countries are now rushing to assert greater influence in Antarctica. 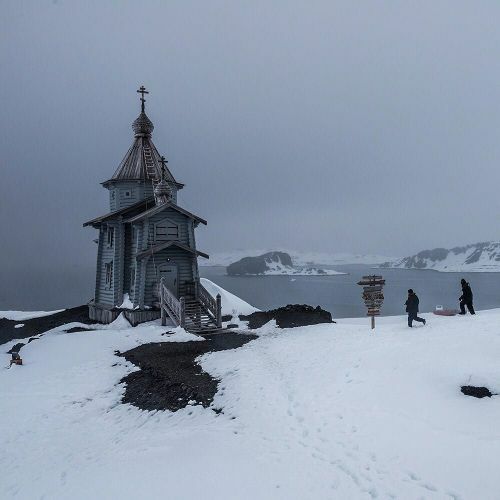 Russia built the continent's first Orthodox church, pictured here, on a glacier-filled island with fjords and elephant seals. Less than an hour away by snowmobile, Chinese laborers have updated the Great Wall Station, a linchpin in China's plan to operate 5 bases on Antarctica. And India's futuristic new Bharathi base resembles a spaceship. The continent is supposed to be protected as a scientific preserve for decades to come, but many are looking toward the day those protective treaties expire — and exploring the strategic and commercial opportunities that exist right now. Photo by @danielberehulak, who traveled to #Antarctica while on #nytassignment." By nytimes on Instagram. ""Nobody likes this place except me," said Governor Jerry Brown of California. 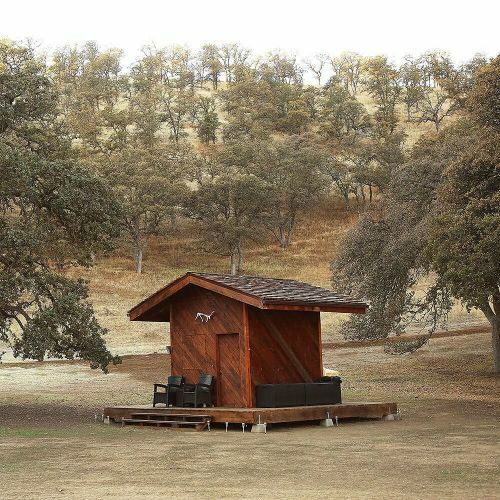 This is the cabin where he stays with his wife when they visit Rancho Venada — 2,514 wind-swept acres that have been owned by the Brown family for almost 150 years. There is no electricity or cell service here. 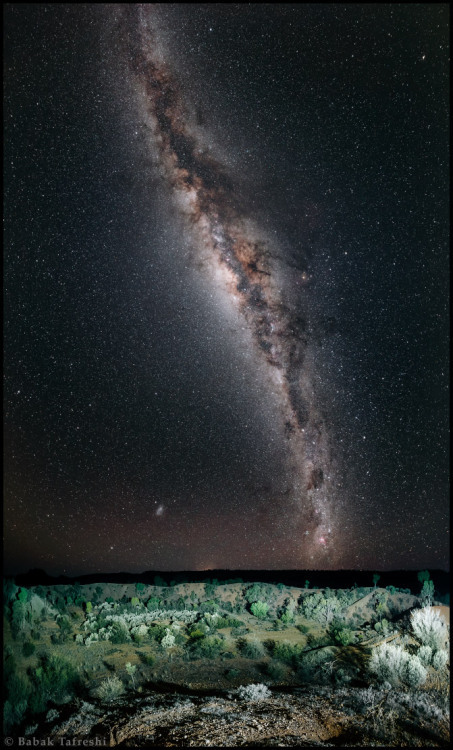 There is no other sign of civilization for miles. Aside from a compact outhouse and this redwood cabin, which is just big enough to hold a single air mattress, there is very little. For all its isolation and ostensible inhospitality, this is the place that the governor, who is 77, is gravitating to as he approaches the end of his 50-year career in politics. If you consider some of his past housing situations, this looks like an upgrade. (In 1975, when he first became governor, he slept on a mattress in a Sacramento apartment.) 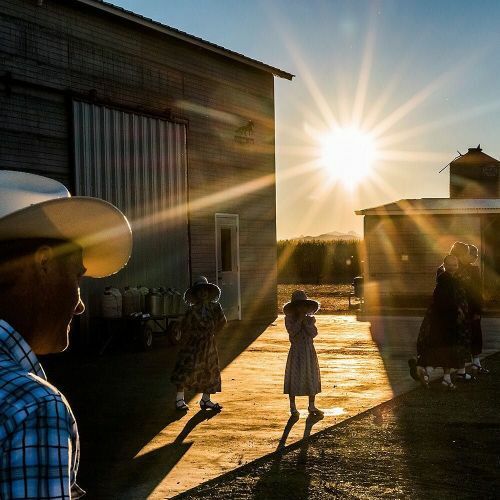 @nytimes staff photographer @jimwilson125 photographed Rancho Venada while on #nytassignment." By nytimes on Instagram. 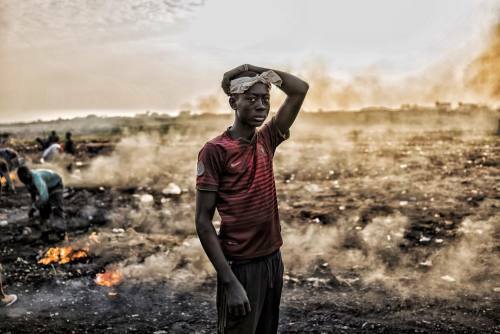 A young man carts electronic waste destined for the Agbogbloshie dump's burning fields - where young men - almost all internal migrants from Ghana's northern Tamale region - toil in toxic smoke, burning down manufactured parts into their basic copper components. 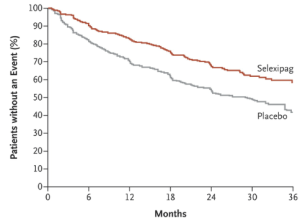 The dump works with a specific process. First there are the buyers of the waste, men who cart in used computers, automobiles and any other junk they can get their hands on. In turn this manufactured garbage is sold to small "storefronts" in the dump that distribute it to the younger men to burn. Below that strata of employment are the boys that walk through the debris fields picking up the copper remains hoping to collect enough to fill a kilo bag. The resulting raw copper is sold back to construction and mineral component wholesalers, which reintroduce the recycled copper back into the world market. A wetland suburb of Accra, Agbogbloshie is home to a vast dumping ground - once labeled the world's largest e-waste site - that covers an unstable swamp, the garbage and soot a carpet that sways with every step, sometimes swallowing new migrants who arrived hoping to make a slim income to feed themselves each day. 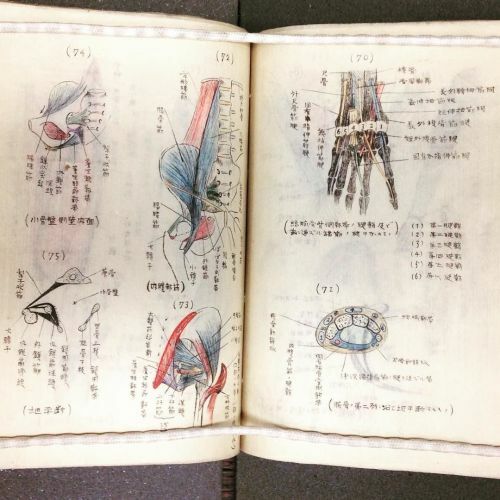 "A book of hand-drawn anatomical drawings attributed to a medical student in Osaka, 1912. Yes, you can take photos of pop-up exhibits in our Historical Medical Library, unlike our museum. Come over before 4pm to see what treasures we keep in our library, and share on Instagram :) #anatomy #medicalhistory #medicalbooks #librariesofinstagram #historicalmedicallibrary #history #osaka #japan #muttermuseum #oldbooks #anatomical #medical" By muttermuseum on Instagram. 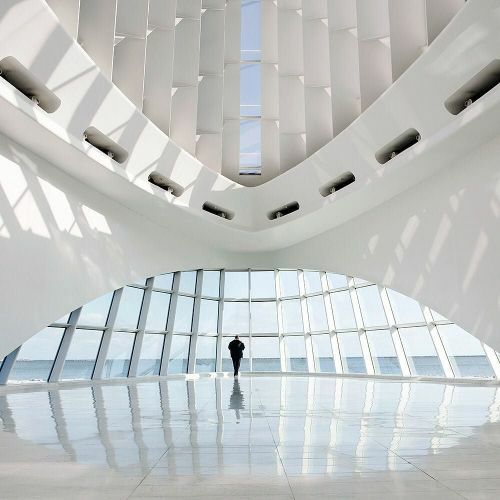 "The Quadracci Pavilion at @milwaukeeart, designed by the architect Santiago Calatrava, quickly became a symbol of the Midwestern city after it was completed in 2001. Locals refer to the structure — which holds a grand temporary exhibition space, a restaurant and other amenities — as simply "the Calatrava," as if it were a stand-alone artwork. But while attention was being lavished on the pavilion, 2 older buildings that house @milwaukeeart collections were falling apart. Last month the museum unveiled its understated reboot of the older buildings. @laurenjustice11 captured the Quadracci Pavilion, pictured here, as well as the renovations. To see more photos, visit the link in our profile." By nytimes on Instagram. 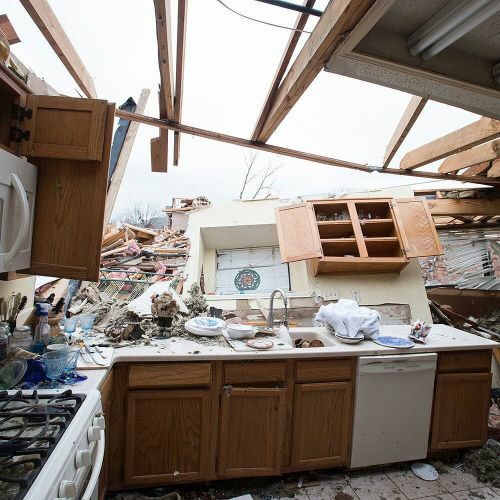 "On Saturday, nearly a dozen #tornadoes swept across more than 100 miles of Texas, killing at least 11 people. The tornado system was the deadliest to hit the Dallas area in 88 years. At least 8 people were killed in the Dallas suburb of Garland, where an EF-4 tornado with up to 200-mile-per-hour winds — enough to toss cars off a local overpass — hit the city. Severe weather in the Dallas area then stretched into Sunday, with hail the size of quarters and enough rain to set a precipitation record, complicating cleanup efforts and damage assessments. Deadly storm systems continued to drift across the United States today. @cooperneill photographed destruction in Garland today while on #nytassignment." By nytimes on Instagram. ""I have become a shadow." This September, Abdullah Kurdi, 39, lost his wife and 2 sons when the smugglers' boat carrying the family from Turkey to Greece capsized. When the tiny body of Abdullah's 2-year-old son, Alan, washed up on a beach in Turkey, the world was forced to focus on the pain of Syria's refugees. 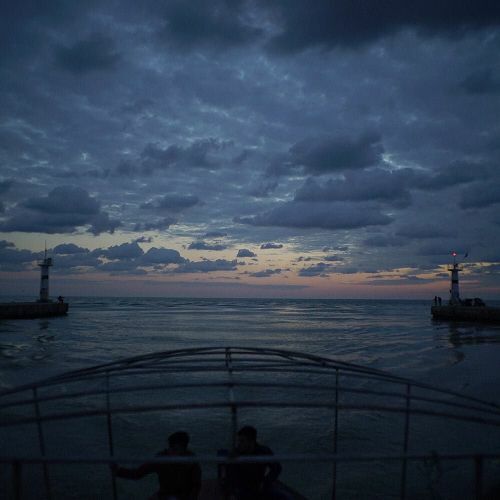 Since the toddler's death, at least 100 more children have drowned in the Mediterranean. 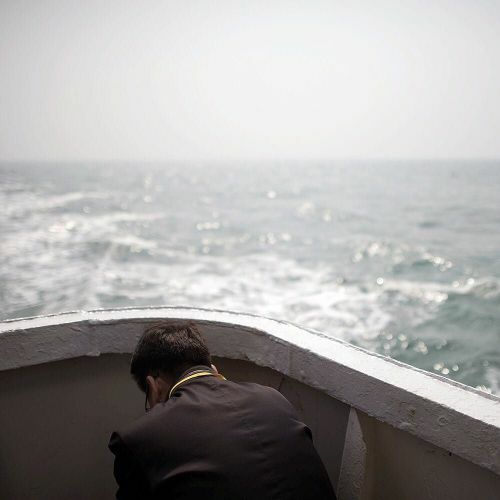 Abdullah sometimes blames himself for what happened to his family, wishing he could turn back time and not get on the boat. 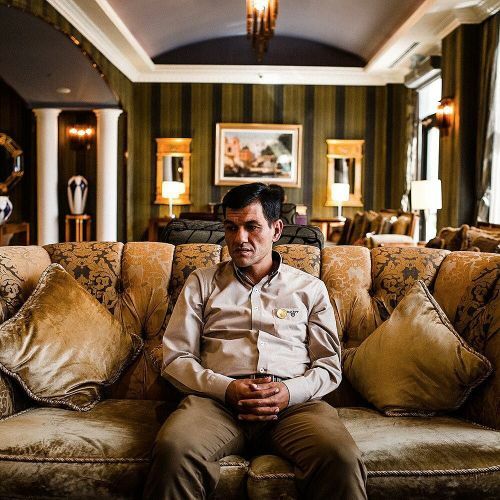 @bdentonphoto photographed Abdullah in a hotel in Erbil, in Iraq's Kurdistan region, a few weeks after the tragedy." By nytimes on Instagram. 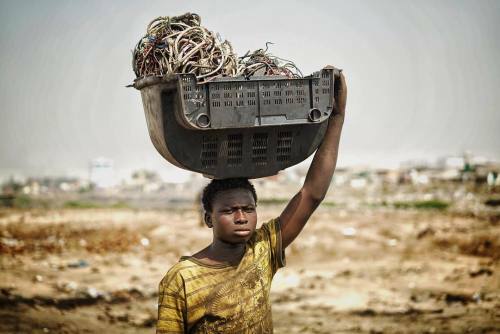 Yakubu Tanko carries the shell of a TV filled with computer and electrical wires on his head. All these parts are destined to the Agbogbloshie burn sites, where young men - almost all internal migrants from Ghana's northern Tamale region - toil in toxic smoke, burning down manufactured parts into their basic copper components. 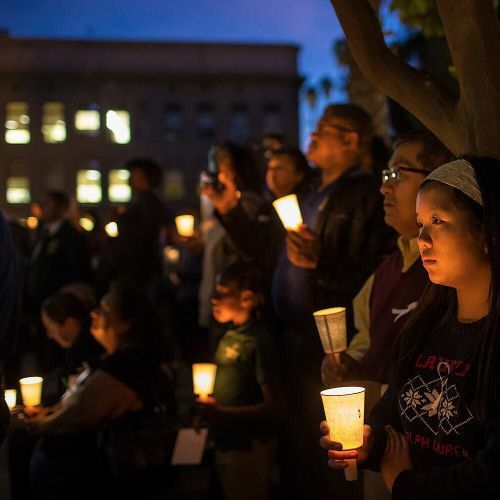 "December: A candlelight vigil to commemorate the 14 victims of a mass shooting by a radicalized Muslim couple in #SanBernardino, California. 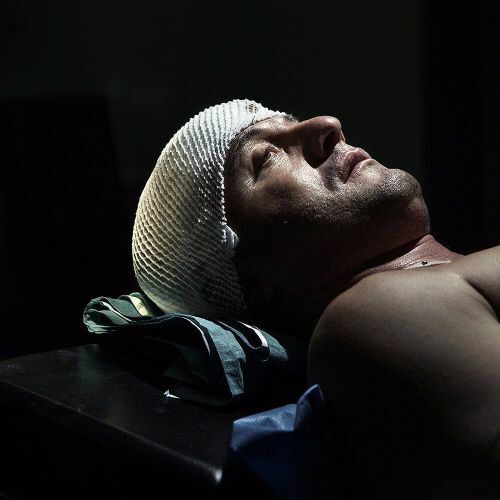 @malmeidapix, a @nytimes staff photographer, covered the aftermath of the attacks. This photo, taken earlier this month, is among those selected for the 2015 #NYTYearInPictures. This #nytweekender, we have been sharing a selection of the images that @nytimes editors chose to represent the year. To see the full collection, visit the link in our profile." By nytimes on Instagram. "November: A Mennonite family in Chihuahua State in Mexico, where depleted water supplies have forced many Mennonite farmers to relocate their colonies to other countries. This photo by @danielberehulak was included in the 2015 #NYTYearInPictures. To see more from the @nytimes selection, follow along this #nytweekender or visit the link in our profile." By nytimes on Instagram. "October: Asylum seekers in Dobova, #Slovenia on the way to a Slovenian registration camp. The nation was flooded with thousands of migrants this year. @sergeyponomarev spent months documenting the crisis, sharing many of his images along the way on Instagram. This photograph, which he shot while on #nytassignment, is included in the 2015 #NYTYearInPictures. 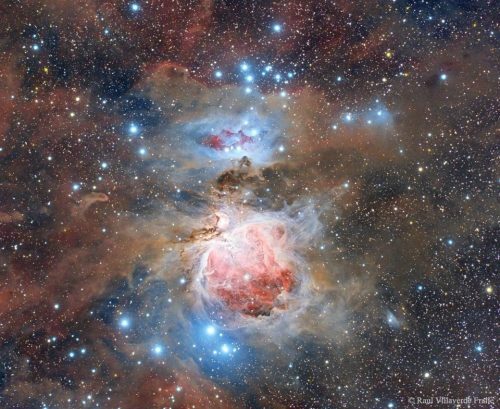 We'll share more photos from the selection this #nytweekender." By nytimes on Instagram. "September: @serenawilliams entered the court at the @usopen to play her sister @venuswilliams. 3 days later, Serena lost her Grand Slam bid in the semifinals. 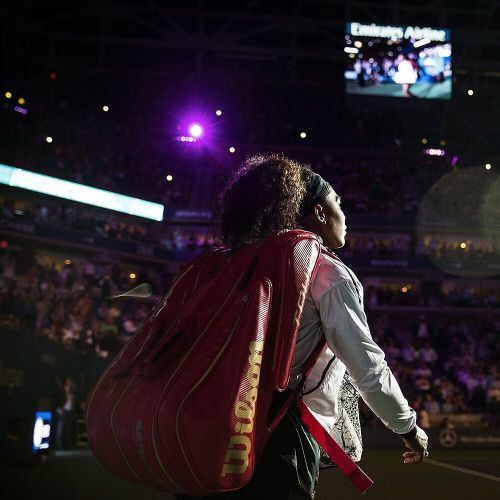 @nytimes staff photographer @heislerphoto spent a number days documenting @serenawilliams during the @usopen. This image is one of more than 80 included in the 2015 #NYTYearInPictures. We'll share more from the year this #nytweekender." By nytimes on Instagram. 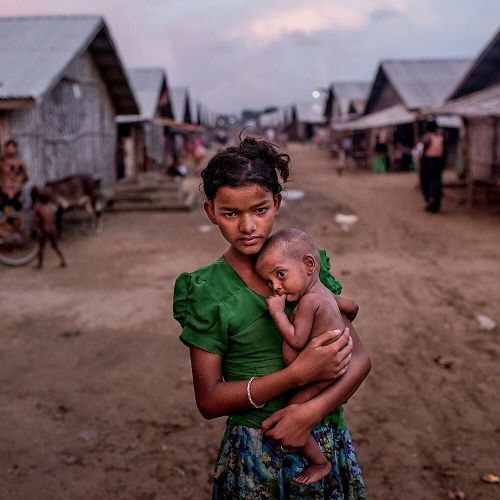 "June: A 12-year-old Rohingya girl held her undernourished brother in a squalid camp in #Sittwe, Myanmar. Persecution forced thousands of #Rohingya to flee the country. This photo, which was shot on #nytassignment by Tomas Munita, is one of more than 80 featured in the 2015 #NYTYearInPictures. "Her face, sitting just below the photograph's vanishing point, forces the viewer to address both her expression as well as the place itself," said @jeffreyhensonscales, one of the @nytimes photo editors who curated the collection. "Her undernourished brother tells us even more of the suffering, which successfully helps to contradict the scenic beauty of this image." This #nytweekender, we're sharing one photo from each month of 2015. To see the full collection, visit the link in our profile." By nytimes on Instagram. 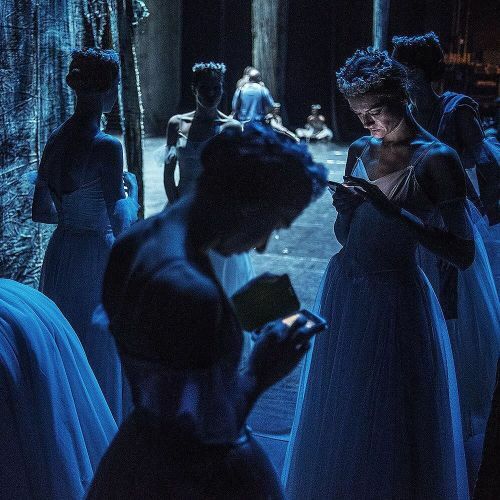 "May: St. Petersburg #Ballet Theater dancers took a break before a show in Johannesburg during their global season tour. The photographer Mujahid Safodien took this picture for @afpphoto. This #nytweekender, we're sharing images from the 2015 #NYTYearInPictures. To see the full collection of more than 80 images, visit the link in our profile." By nytimes on Instagram. "April: A relative of a victim of the #Sewol ferry sinking attended the 1-year memorial off the coast of Jindo, #SouthKorea. The sinking killed more than 300 people, most of them teenagers. The @afpphoto photographer @edjonesafp took this photo, which is featured in 2015's #NYTYearInPictures. To see more photos from the year, follow along this #nytweekender. Find the whole selection by tapping the link in our profile." By nytimes on Instagram. 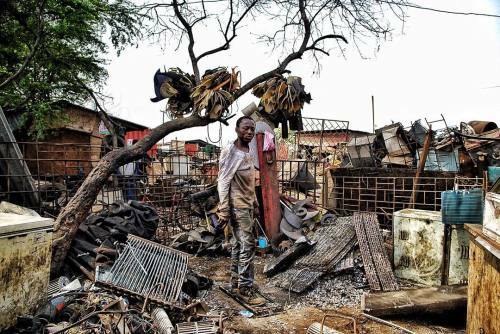 Jon - who I affectionately named Tupac - lives and works in the Agbogbloshie dump, burning plastic, rubber and metal off of manufactured parts made of copper. The raw copper is sold back to construction and mineral component wholesalers, which reintroduce the recycled copper back into the world market. The litter and debris from the burning fields remain on the scorched ground. 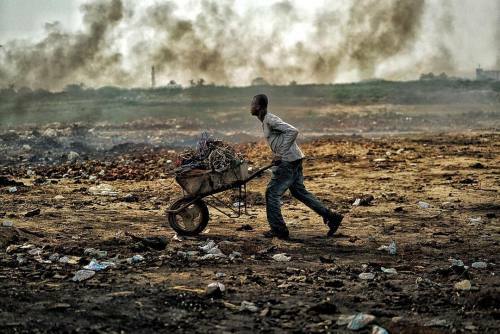 Once a wetland suburb of Accra, Agbogbloshie is home to a vast dumping ground - once labeled the world's largest e-waste site - that covers an unstable swamp, the garbage and soot a carpet that sways with every step, sometimes swallowing new migrants who arrived hoping to make a slim income to feed themselves each day. "January: @ayman_oghanna photographed the Gulf of Antalya in the eastern Mediterranean Sea, one of many departure points for Syrian migrants headed to Europe. This image is just one of more than 80 featured in the 2015 #NYTYearInPictures. 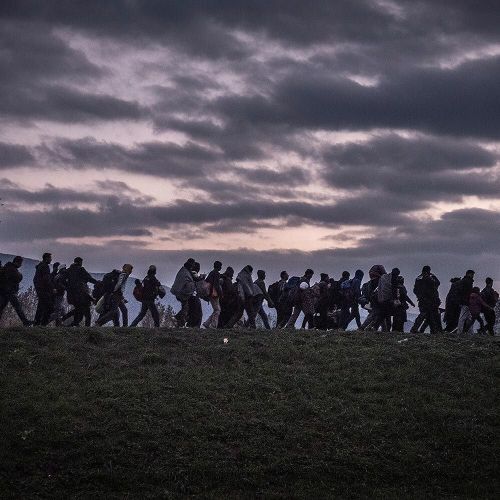 "We chose this photograph not simply because it is well-composed and captures beautiful light," said @mloo, deputy editor of photography, "but more so because it foreshadows one of the major stories of the year — the continuation of the largest mass migration since the end of World War II." This #nytweekender, we're sharing one photo from each month of 2015. To see the full Year in Pictures collection, visit the link in our profile." By nytimes on Instagram. "What #ChristmasDay does not look like today in New York. 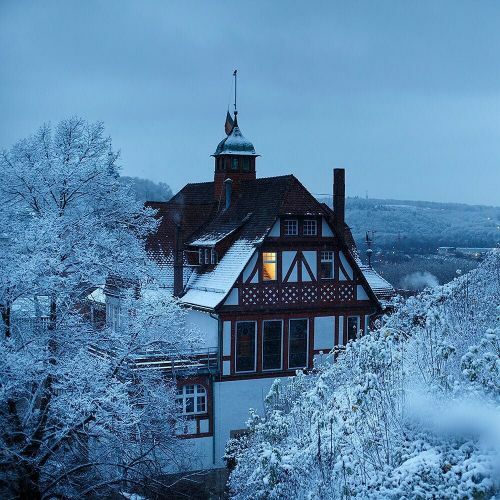 The photographer @ilvynjio captured the first snow of the season as seen from the castle Schloss HohenTübingen, in Tübingen, a town of about 90,000 tucked in the southwest corner of #Germany. @nytimestravel explored #Tubingen, which boasts relatively untouristy pedestrian streets, half-timbered Gothic buildings and Schloss HohenTübingen, an 11th-century castle. Follow @nytimestravel to see more photos from around the world." By nytimes on Instagram. 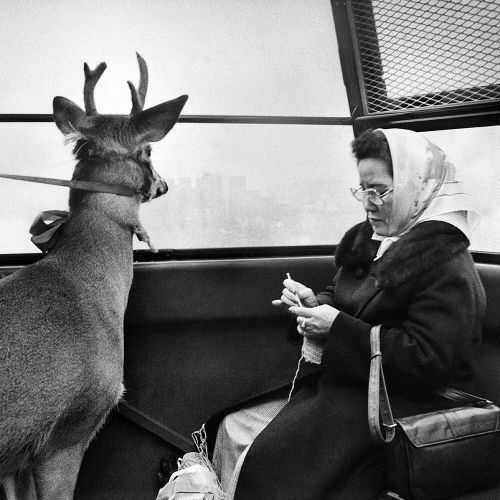 ""Only in America, only in New York," read the caption alongside this December 1977 photo by @nytimes photographer Chester Higgins Jr. "A reindeer on a tram? What's so strange about that? One New Yorker thought nothing of it as she traveled, undisturbed and unimpressed, to Roosevelt Island on the Manhattan tramway. Her fellow passenger was going to the island to be the star attraction at a Christmas party for children." It seems to us that the #reindeer — not Dasher or Dancer, but "Richard" — had his wits about him. Why haul a sleigh when you can simply take the tram? We found this photo in our newsroom #archives, known as the "morgue." #tbt" By nytimes on Instagram. 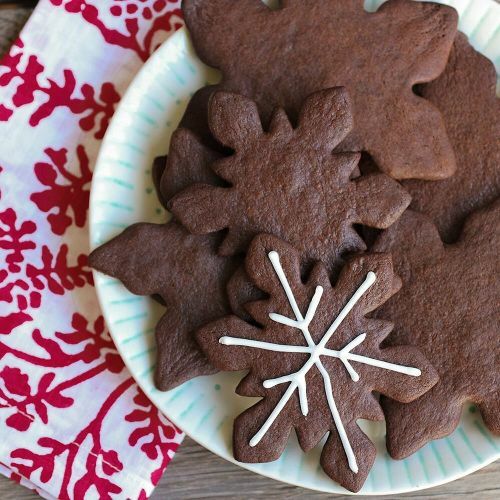 "Looking for a last-minute holiday cookie? It only takes about 30 minutes to make these rich chocolate cookies, which get their deep flavor from the combination of cocoa powder, unsweetened chocolate and espresso powder. Mari Pfeiffer, a @nytfood reader in California, submitted this recipe to @nytimes several years ago. She recommended decorating the cookies with royal icing. "Other icings — buttercream, melted white or dark chocolate or ganache — would take away from the cookie's simple yet amazing flavor." 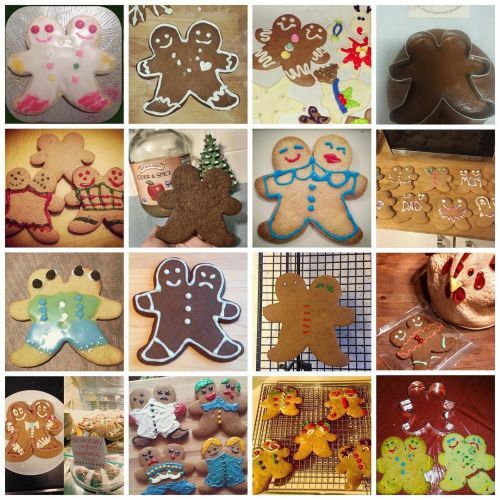 Lisa Nicklin photographed these #holidaycookies for @nytfood. Find the recipe (and others) by visiting the link in our profile." By nytimes on Instagram. 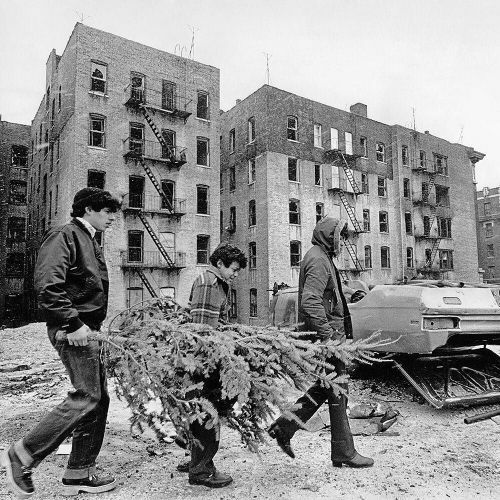 "In 1973, 3 brothers took a shortcut through a littered Bronx lot while carrying a $4 #Christmastree home. The @nytimes photographer William E. Sauro took this photo, which ran alongside a story about the two faces of Christmas in New York City. 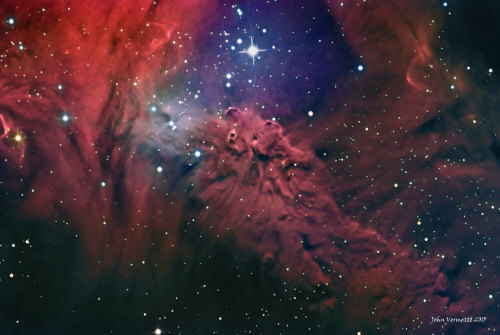 "When Christmas comes, the sadness also is intensified," wrote the reporter, Deidre Carmody. 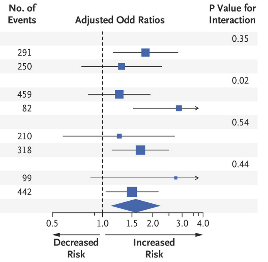 "The contradictions become sharper. The frivolity becomes more apparent and the sorrow more painful." This #tbt came from our newsroom #archives." By nytimes on Instagram.